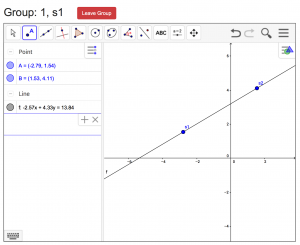 The MathNet application integrates the dynamic mathematics capabilities of GeoGebra with a set of tools for classroom collaboration. 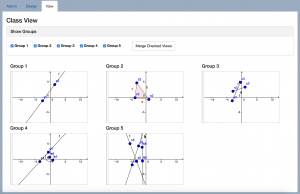 Students work together in a multiuser group where views are synchronized across participants’ devices, but control of different mathematical objects or elements in that view can be distributed to the different users so that students must work together on collaborative constructions or investigations. 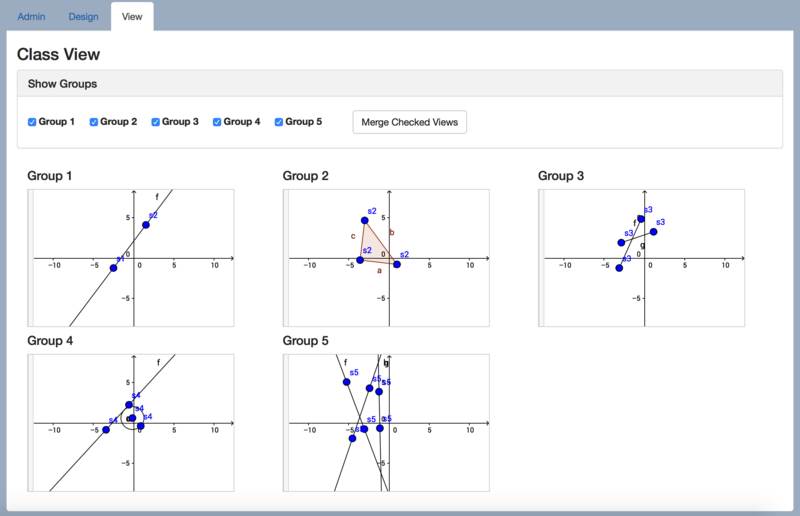 Teachers can customize the tools available to students, send constructions to groups, and monitor the graph views for each group in a class. 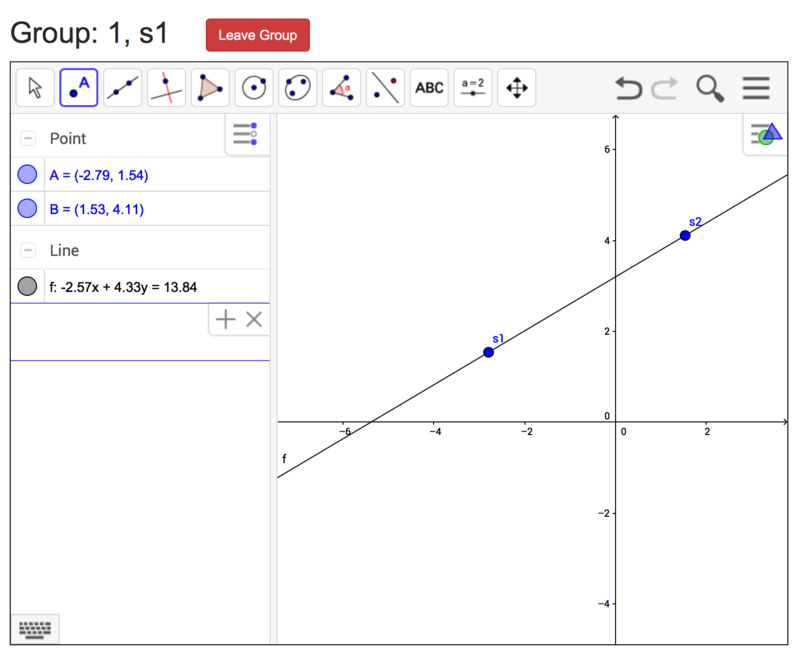 Note: If you would like access to the MathNet demonstration site, please contact us.